The concept of employee termination may sound negative at the outset. However, job termination is considered as a usual practice among companies and often spring from a variety of reasons. 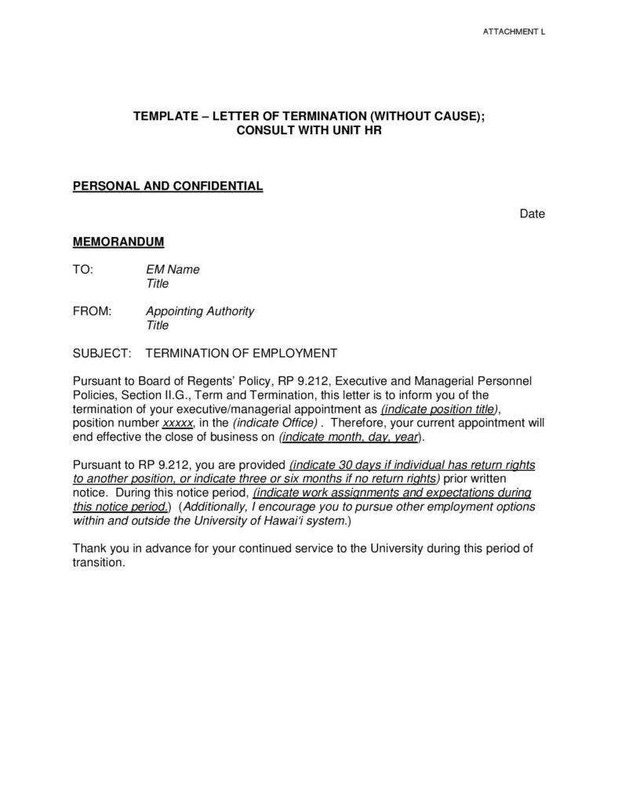 In dealing with employment termination letters, it does not really connote the end of everything. It marks the beginning of something new for the employee and opens new opportunities for them, depending on the tenor and reason behind the termination. Under existing laws and policies, employers are vested with the right to fire and terminate the employment contract of their employees pursuant to reasonable grounds and causes. For employers, writing these letters may appear difficult. However, there are standard procedures that must be complied with. What is important is that employers have sufficient documentary proof to support their claims and cited grounds for termination. 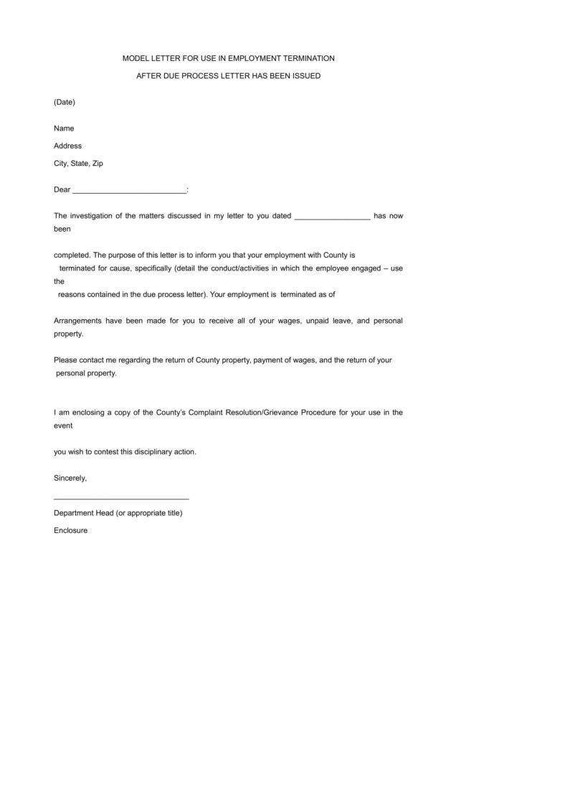 An employment termination letter serves as a formal, official, and legal notification to the designated employee regarding the dismissal of his or her employment. As posited by research studies, there are two types of employee termination. Employee termination can either be voluntary or involuntary. As the term suggests, voluntary termination refers to those arrangements that the employee willfully terminated his or her employment contract. It could be by submitting a resignation letter to his or her employer or by virtue of a his or her retirement. 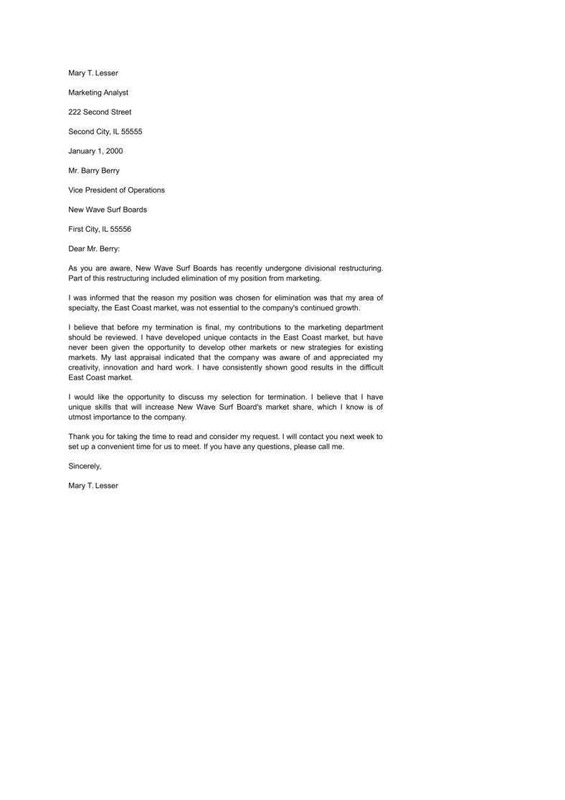 In this case, it is the employee himself or herself that makes the letter addressed to his or her employers. In contrast to the first type, involuntary termination refers to termination of employees in relation to a certain ground or cause. 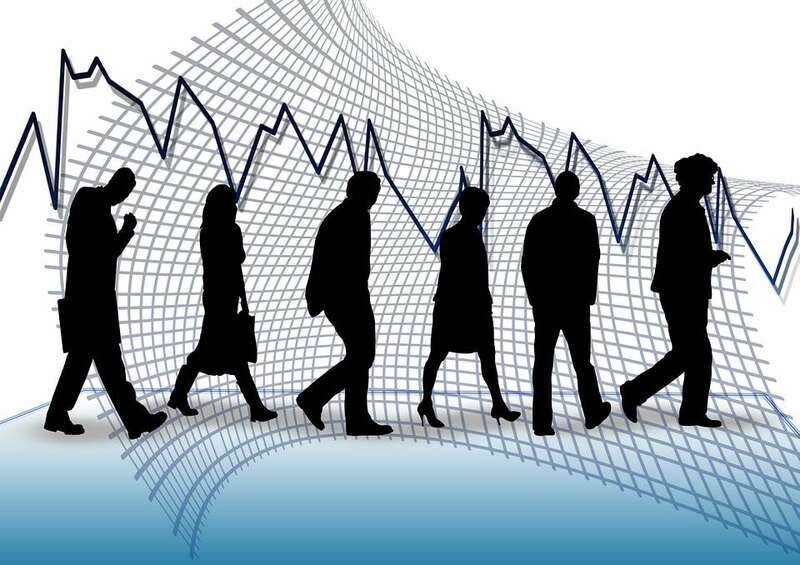 Notwithstanding the difficulty of laying off or terminating employees, employers are faced with such reality everyday. The reasons behind an involuntary termination vary considerably. This depends on the employment relationship between the employer and the employee, the employment contract, the codes of conduct adopted by a certain company, and the prevailing labor laws of the country where the company is situated. 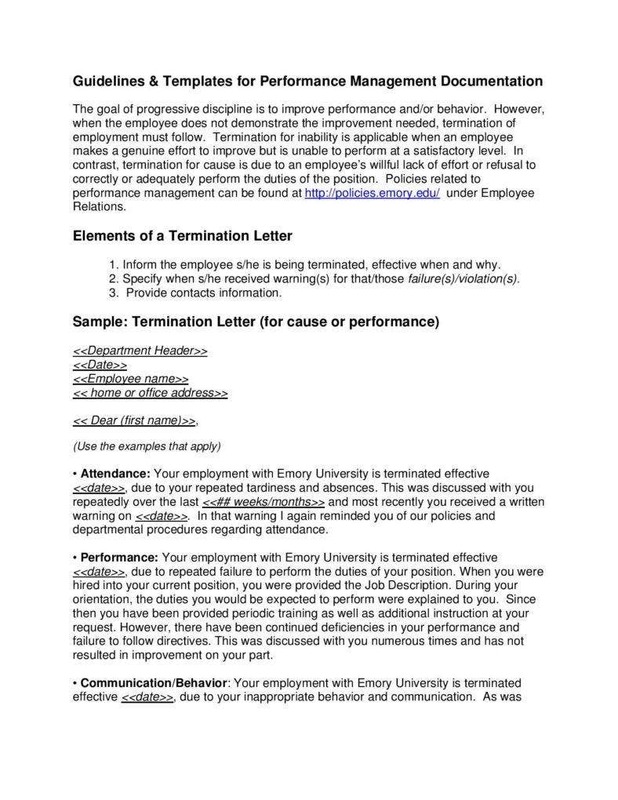 Terminating an employee is a complex process. There are various factors to consider. Before drafting the letter, the employers must ensure that they made necessary and sufficient preparations. Understand the nature of the employment relationship. The best document to refer in understanding the nature of the employment relationship is the employment contract itself. It is the basic and most critical document that outlines the rights, duties, and responsibilities of the contracting parties. It is within the contract that certain employment standards and grounds for dismissal are incorporated. Is the individual a full time, probationary , seasonal or casual employee? 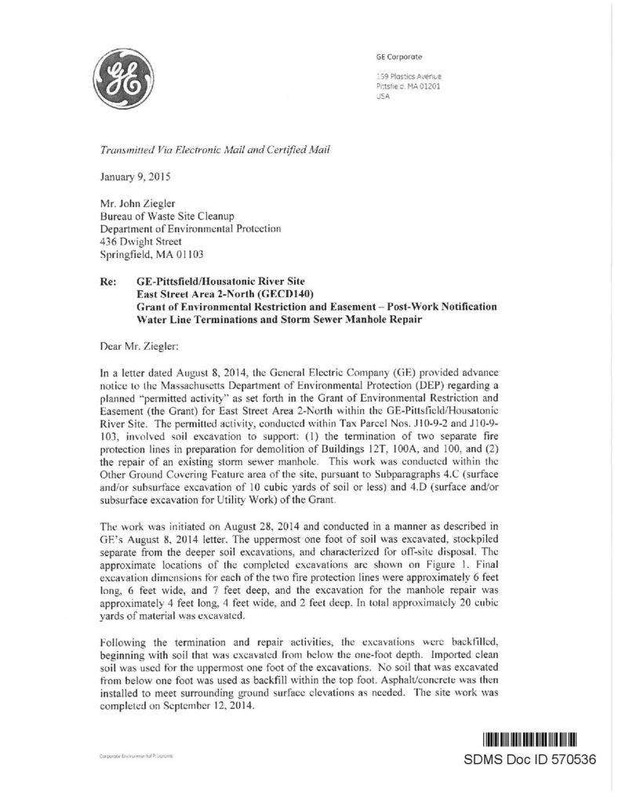 Evidence is very important in dealing with termination letters. This is because there are many cases of illegal dismissal that can be detrimental to the overall operations and reputation of the employer. There must be sufficient documentary proof that the employee can be rightfully dismissed and was not discriminated nor illegally dismissed. employee records, including but not limited to record in cases of absenteeism. Indeed, there are certain technicalities that must be complied with. Documenting every step of the process can truly help employers defend and substantiate their claims. 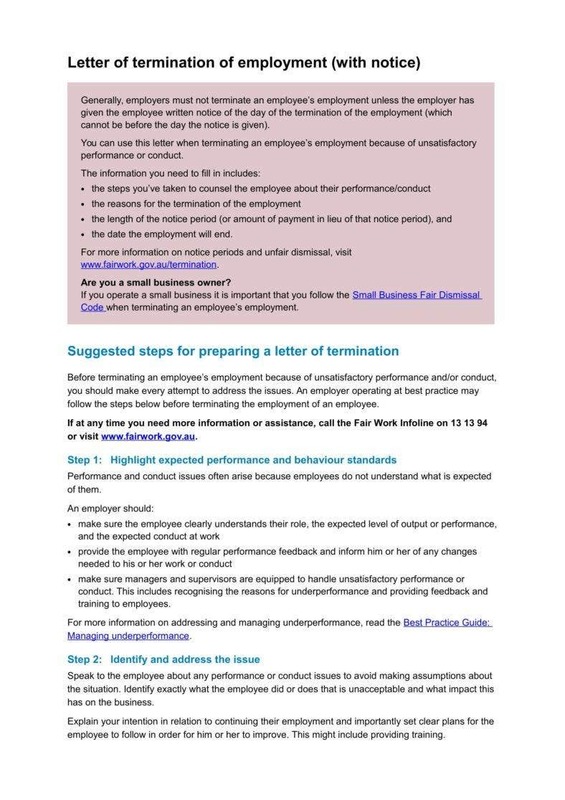 The following simplified guidelines will help you fully understand how employment termination letter works. As a legal and business letter, the heading of an employment termination letter must consist of the return address to be followed by the relevant date. The employer may also include the company contact number, fax number, and email address. For the letterhead, employers must use the company letterhead. The causes behind the employee’s dismissal must be provided. 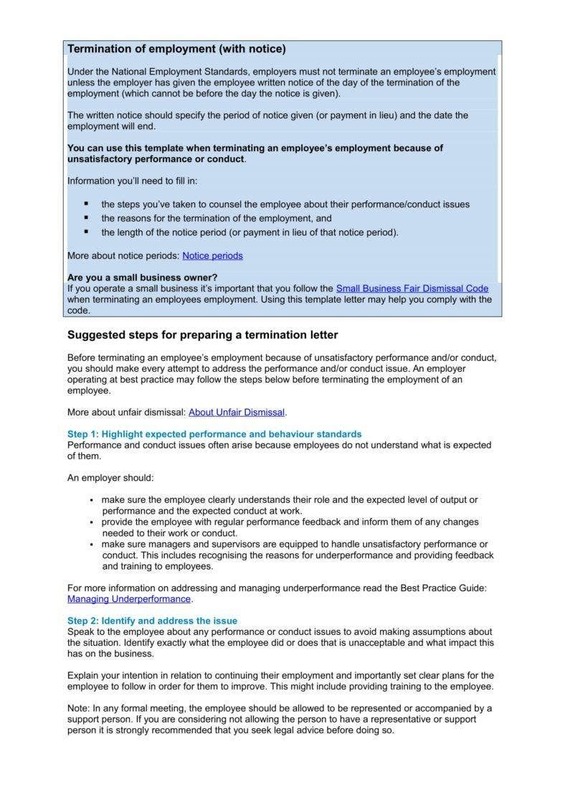 For termination due to violations of company policies or misconduct, the policy or policies violated must be cited and emphasized in the face of the letter itself for reference purposes. 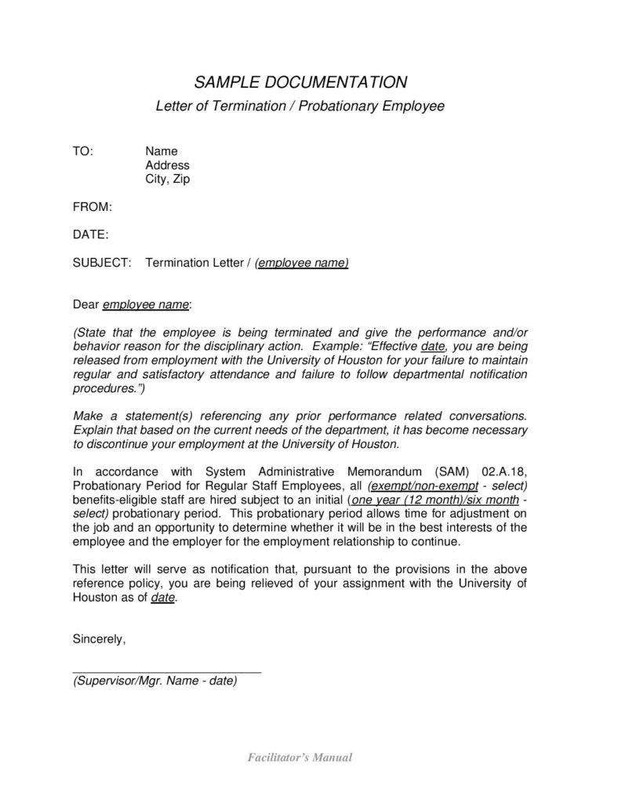 Moreover, the effectivity date of the said termination must be clearly provided. For example, termination for cause may refer to cases of poor performance, absenteeism, gross negligence and misconduct, and the like. There is also a need to indicate that you, as an employer, complied with the necessary steps and procedures to warn, reprimand, or coach the employee and the employee failed to respond to such interventions. If you have sent notices and letter of warning to the employee, you also need to indicate them here with the corresponding dates. The employer must give the employee a deadline or a schedule as to the return of the company properties that are entrusted to the employee or under his or her custody. Examples of such properties would include laptops, computers, keys, specific equipment, and the like. The employee must also surrender his or her passwords and other software-related access. You may also request the employee to complete or submit a consolidated report or documentation about his or her tasks for transition purposes. In terms of compensation, the employer must provide details as to when and how the employee can access his or hr final salary. The effective date of such payment must be clearly indicated. Moreover, if your company offers severance packages, the details of such may also be included here. The said clauses are optional depending on the employment contract that safeguards the relationship between the employer and the employee. Confidentiality clauses or agreements are entered into between an employer and employee in cases that the line of work that the employee was engaged in deals with the company’s trade secrets or other confidential matters. As per the non-competition clauses, certain employees are prohibited from engaging in business that are in competition with the company’s ordinary course of business for a reasonable number of months or years. Such clauses will only be included in the letter if specifically provided in the employment contract. 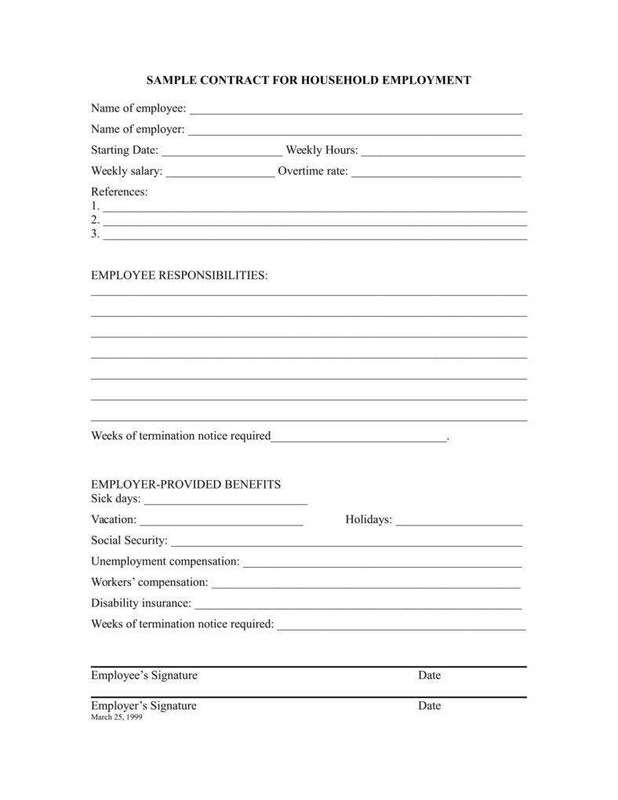 Both parties, the employer and employee must sign the said letter. There must be an extra-copy of the letter to be documented and stored by the designated HR personnel for filing purposes. And lastly, ensure that the employee fully understands the nature of the offense and the consequences of his or her actions. The employee must be fully aware of the cases alleged to be committed by him or her. This is to prevent unnecessary complaints. Employment termination letters come in various shapes and sizes. Preparing and writing one demands utmost diligence and care due to its legal character. However, writing a professional one is a must to uphold the professional standards and core values of the company.